Before we start looking at the potential benefits of 3D printing, it is essential that we know exactly what it is. 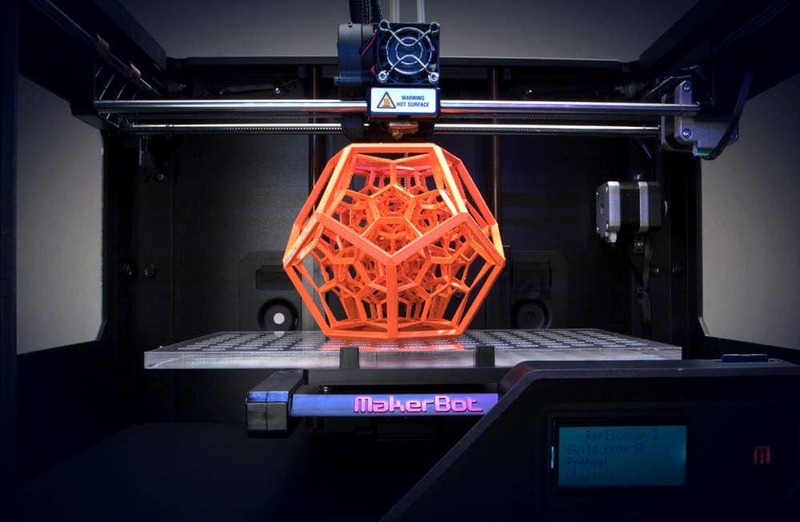 3D printing is the process of using a specialist printer to transform a digital design into a physical 3D object. Depending on the intricacy of the digital design, most 3D printing takes just a few hours to complete and boasts a number of benefits to a range of sectors. One of the main ways we can benefit from 3D printing is within manufacturing. In the past, if a company wants to release or trial a new product, they would have to produce a prototype. This can often be a time consuming process, as the company would have to spend time sourcing and physically assembling, sometimes intricate, parts of the product. Because of this, it can take a while for a prototype to be made available, hence slowing down all of the other stages that need to be completed before a product can be released. 3D printing, however, can be used to create a prototype of a product within a few hours. As the product would be one solid piece, there would be no time wasted on assembly either, making this an incredibly useful process that could save the manufacturing industry a wealth of currently wasted time. In addition, because the prototype would be made quicker, the company would be able to get their product on the market quicker, helping to increase their revenue. Fossils, human remains and ruins of old buildings are just a selection of items that historians and architects have discovered over the years. Due to their age, these items can be incredibly fragile and difficult to handle. 3D printing can help to limit how often historians handle the original artefact, while not affecting their vital research. Using a 3D scanner, a digital image is formed of the original artefact. This digital image is then sent to a 3D printer where an exact replica model is formed. Here, 3D printing could be essential to how we understand and discover more about ancient life. One of the most impressive advantages of 3D printing comes in relation to medicine. It can be used in the process of curing problems and helping to discover more about the body. Recently, 3D printing was used to create a lung splint for baby Kaiba. From birth, Kaiba had suffered from a tracheomalacia, a condition where the windpipe is flaccid. To treat his condition, doctors took a CT scan of the boy’s windpipe and used 3D printing to create a splint that would fit perfectly around his trachea, to give it all the support it needs. This is just one example of how 3D printing can be used in medicine, plus so much potential for it to be used in other ways.